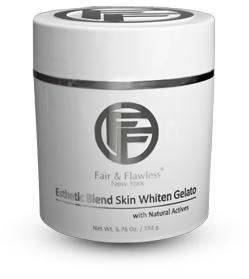 The next generation of our bestselling 80xF formula, Esthetic Blend Gelato is feathery soft and light and easily absorbed—ideal for oilier skin. All-natural florals and botanicals support and plump your skin, increase circulation, and gently exfoliate to resurface and renew your complexion. 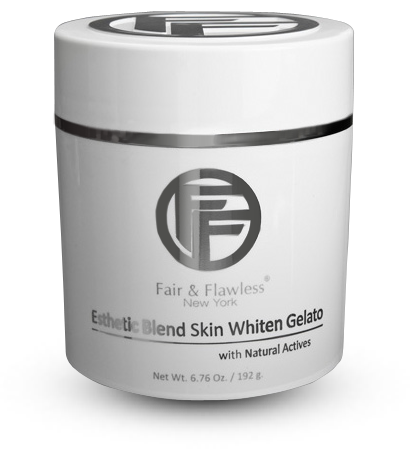 Gentle brighteners erase uneven and stubborn pigment at the skin's deepest layers for a youthful and radiant complexion. The effects of age, hormones, sun—any type of unwanted surface hyperpigmentation—are swept away and replaced with youthful luminosity. Apply a small amount to palm of one hand, and use fingers to thoroughly cover your body. Massage well until fully absorbed. A light moisturizer may be applied 2-3 minutes after application if desired. Wash hands thoroughly prior to applying the Gelato. This product should not be applied to the face. Pure Aloe Vera Extract, Purified Sea Water, Sorbitol, Glycereth-26, Sepi-white Msh, Mandelic Acid, Lactic Acid, Tamarind Extract, Malic Acid, Sepicalm Vg, Pycnogenol, Plant-derived Resveratrol, Chondrus Crispus, Ubiquinone (coenzyme Q10), Hibiscus Sabdariffa Extract, Sodium Hyaluronate, Ascorbyl Tetraisopalmitate, Abelmoschus Esculentus Fruit Extract, Citrus Junos Peel Oil, Orange Oil, White Tea Extract, Tocopherol, Soluble, Collagen, Allantoin, Lemon Extract, White Ginger Extract, Carbomer-940, Fragrance, While Chamomile, Vitamin, B5, C & E, Glycereth-26, Alpha Arbutin, Apple Extract, Horse Chestnut Extract, Imidazolidinyl Urea, Methlisothiazolinone, Blue 1. Oh Yea .... the Gelato did the job for my skin. This product will whitening your skin in just 2 days. Best product I have ever used.